Sent in from a fan. 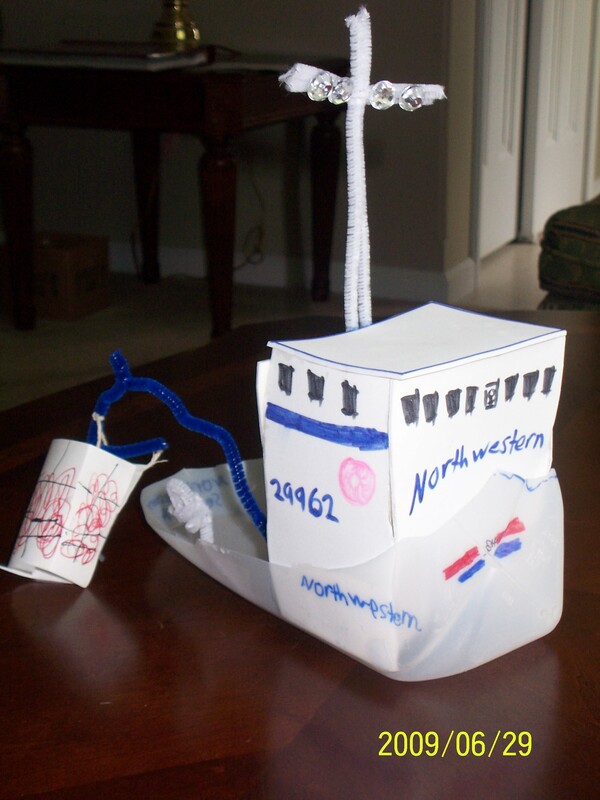 My daughter (age 9) had to make a boat for a science unit on buoyancy, using things around the house (i.e. no kits). She chose the Northwestern, and it was judged “Most Realistic”. She really had fun making it.